Thousands of solar panels glint in the sun, but the prized farmland beneath lies barren. While the Italian island of Sardinia revels in a renewable energy boom, the long arm of organised crime risks sullying its clean power ambitions. Famed for its lush plains and emerald waters but racked by poverty and unemployment, Sardinia has jumped at the chance to boost the economy by converting its long months of sunshine into green energy. And it is not alone: cities and towns across Italy are embracing hydroelectric power, geothermal energy, wind farms, solar panels, steam generators and biomass plants, due largely to generous state subsidies. In Sardinia's northwest, the crop from purple and golden fields of thistles and sunflowers is used to generate biomass energy, while on the rolling hills in the island's centre, towering white turbines spin gently in the breeze at Italy's second largest wind farm. With youth joblessness in the region at over 50 percent, many hoped the state's green incentives would not only breathe life into struggling family communities, but attract companies from other parts of Italy and foreign multinationals which would create jobs. The problem, according to countryside campaign groups, is that while the subsidies come out of taxpayer pockets, so far the region has seen little of the profits made by the energy firms—many of which are accused of making fraudulent claims for funds. Sardinian prosecutor Mauro Mura warned last year of mafia infiltration in the sector, flagging up instances of renewable energy plants which had profited hugely from subsidies open exclusively to farmers, while "not producing any agricultural goods at all". "The incentives were meant for real farmers, it was a helping hand from the state. 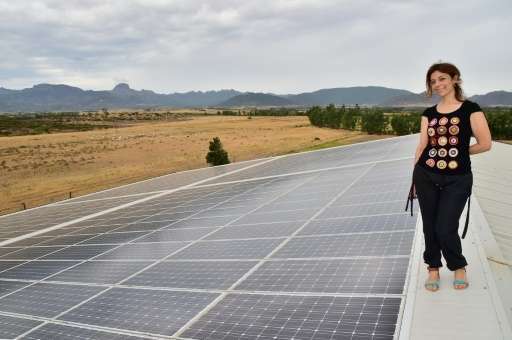 They were supposed to be able to install a few panels on their land for their own consumption, and sell any leftover energy on," said 63-year-old campaigner Pietro Porcedda. 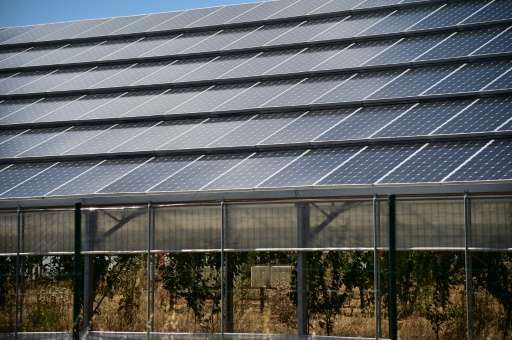 On the outskirts of Narbolia near the island's western coast, one such plant sprawls across the town's most fertile fields: over 107,000 solar panels sit atop the roofs of some 1,600 greenhouses, in which the owners had promised to grow aloe plants. But with the sunlight shut out by the panels, nothing grows there but weeds. The Chinese company which runs the plant, meanwhile, is pocketing profits from 20 years of subsidies and the sale of its energy to Italian giant Enel, Porcedda said. "Instead the money leaves the country, it's not reinvested here. And the 60 jobs we were promised? Four people are employed here," he added, blaming not the multinational but the Italian authorities for turning a blind eye to the situation. The potential for investment—and corruption—is great. The European Union's law enforcement agency Europol flagged up concerns in 2013 that "the Italian mafia is investing more and more in renewable energy." And the sector has grown since then. In solar in particular, Italy has become a world leader, generating more of its energy from the sun than any other state, with over 7.5 percent of national consumption coming from photovoltaic production. 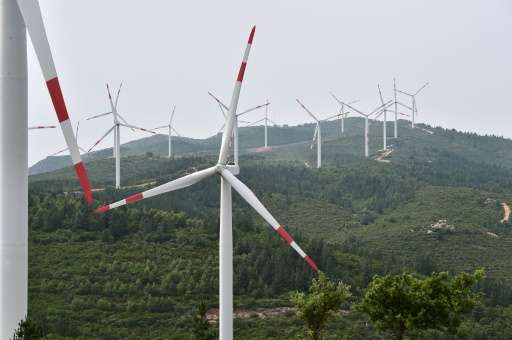 Every single township in the country now boasts at least one source of renewable energy, according to Italy's main environmental group Legambiente, with 323 considered autonomous in terms of electricity thanks to wind farms. In spite of the success, the Italian government was forced to reduce subsidies last year in the hope of slashing electricity prices, after households found themselves paying 94 euros ($100) a year on top of their bills to support green energies. Incentives for photovoltaic plants, for example, were slashed by between 6.0 and 25 percent, depending largely on plant capacity. But while the roll back may curb the interest of future investors, it will do little to challenge the problems already in the system. "The first subsidies were very big, it made the multinationals hungry and they came here to invest," said Rosetta Fanari, 47, whose farm makes creamy ricotta cheese based on an age-old Sardinian recipe in vats powered by an ultra-modern solar steam generator. 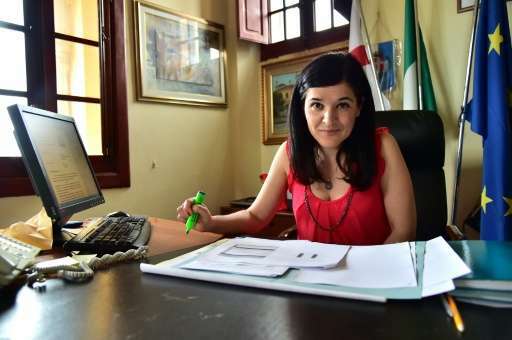 One of the local businesses proud to have benefitted from the incentives as they were intended, she said more should be done "to make sure the wealth remains here, to create benefits for the environment, the Sardinian people." Some locals have taken in upon themselves to block controversial projects. 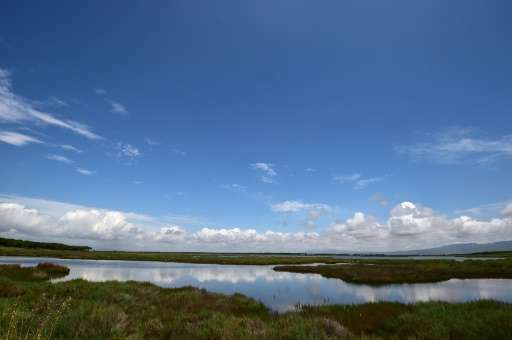 Biologist Manuela Pintus was elected mayor of nearby Arborea this year on a platform to prevent the drilling of an exploratory well for natural gas next to a reserve for protected pelicans. "Our supporters received threats from those who wanted the well, who said 'We'll destroy everything you have if you vote for Manuela,'" she said. "It didn't stop us. We have local mothers and grandparents behind us, and will continue the fight to protect our land for future generations."